For me, the holidays have, in recent years, been filled with a bit of trepidation and anxiety. All of the pressure involved for me includes trying to feel the spirit of the season while trying to get everything done that is necessary. During the last few years of my mother’s life, she expressed this same feeling of holiday anxiety. She complained about putting up decorations, and getting all of her shopping done. So, one year I bought her a Charlie Brown Christmas Tree, and told her that it really can be simple if only you want it that way. We put so much pressure on ourselves (YES, we do that – no one does it to us)! However, I have not followed those words of advice until recently. This year, I decided to keep it simple. I put up a few special decorations to make my home feel festive, but did not drag the tree out of storage (mainly because my kitten would probably pull it down:)). I figured that I will be leaving to visit Chicago on Christmas Day, so why bother. Simplifying the holidays has really lightened my load. I chose to find ways to spend time with friends and family instead of buying gifts while money is tight. I am praying, and am fairly certain, they will understand. This eliminates the financial pressure, but I am also finding that it is way more enjoyable to spend a day with a friend versus the few moments of joy in opening costly gifts. The joy I will experience while spending the holidays in Chicago visiting everyone far surpasses any joy from gift giving/receiving. 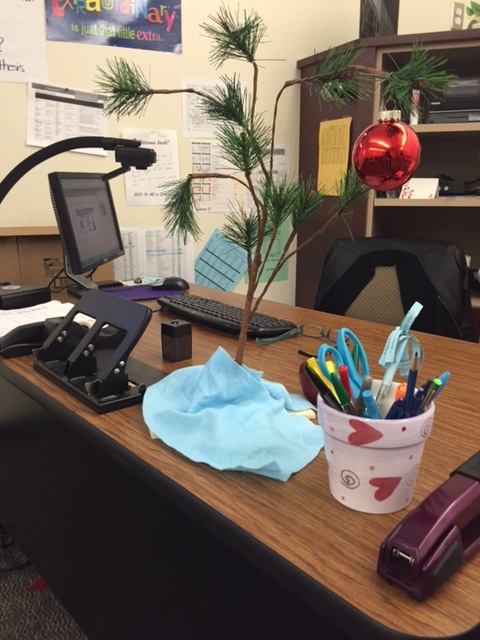 My students laughed at first when they saw the Charlie Brown Christmas Tree that I displayed on my classroom desk. 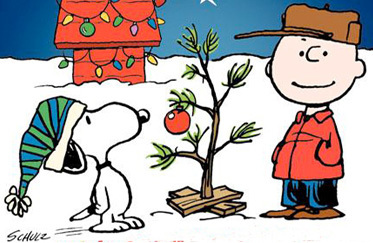 However, when I told them the story behind it and showed them the Charlie Brown Christmas video, they understood. Simple can be SO much better, so much more meaningful, and bring so much more joy.